Pictured is the finished receipt (recipe), To make Current Soup. To complete the dish place White-bread in a dish, pour (the soup) over it so that the bread gets soggy, and then sprinkle with Sugar and Cinnamon. 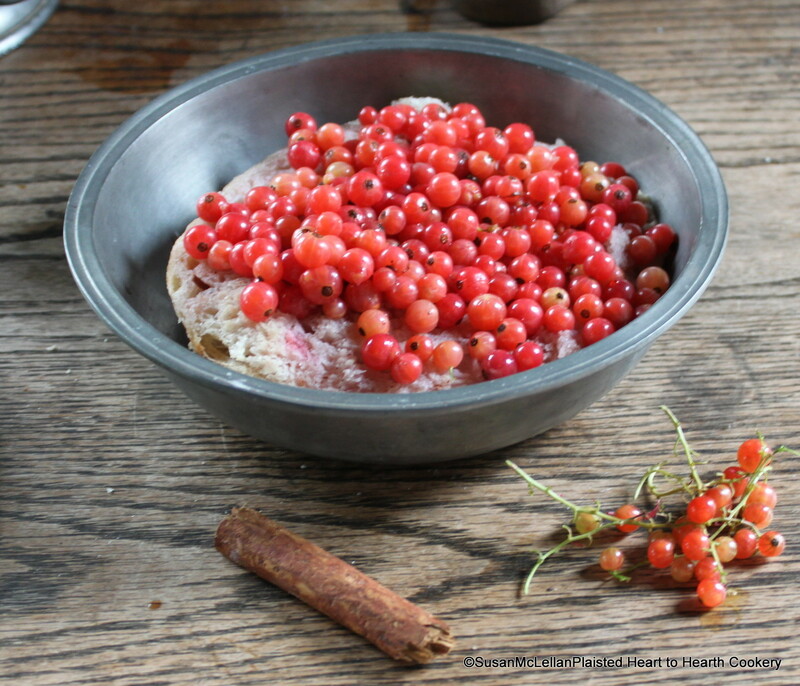 My red currents are ripe now – but I think they’d be too sour to eat this way? Please look at the prior posts and it will tell you about the sugar that you add to sweeten. Thanks for your comment and give it a try as it is very good.